This month’s free motion quilting (FMQ) challenge was a bit different and not what I’d classify as ‘free’ motion quilting, mostly because we had to mark the design. Marking isn’t ‘free’ in my book. That said, it was a different technique and one that I *might* use again in the future if I really needed to replicate a particular design. It was presented by Don Linn (‘Mr Quilt’; I have one of his books) and involved quite a lot of work in that we had to photocopy (and blow up) a design, trace the design onto tulle using a Sharpie, then use a washable/chalk marker to trace the design onto the fabric before we could start stitching. And of course, because this was a marked design, stitching required back-tracking as these sorts of designs don’t usually give you a stitching order. Anyhow, it’s done, and I’ve learned a new technique, which is, after all, what this challenge is all about. Will I use the technique again? Perhaps, but not in the immediate future. I was disappointed that the chalk markings weren’t very clear and when I tried a different marking technique, the tip of the marker kept getting caught in the tulle! 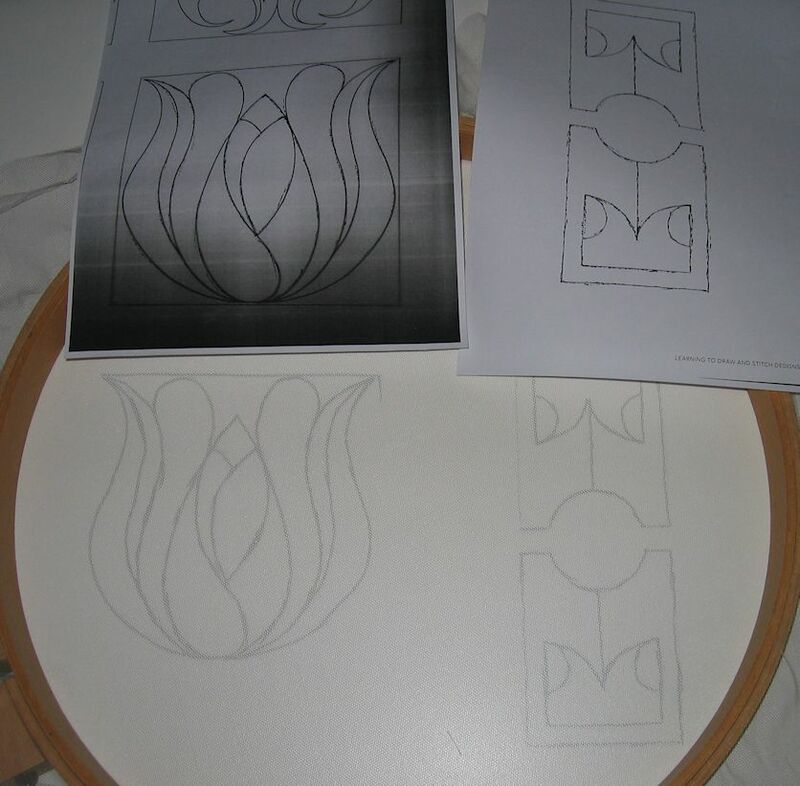 The photos below show the original photocopies of two of Don’s designs from one of his books, the tulle tracing, and the finished pieces. The orange thread was a fluorescent orange Mettler poly sheen thread (col. 1106; 40 wt? ); the fluoro lime/yellow was an Isocord thread (col. A2941 [or Fb. 6010? ]; also 40 wt, I think). 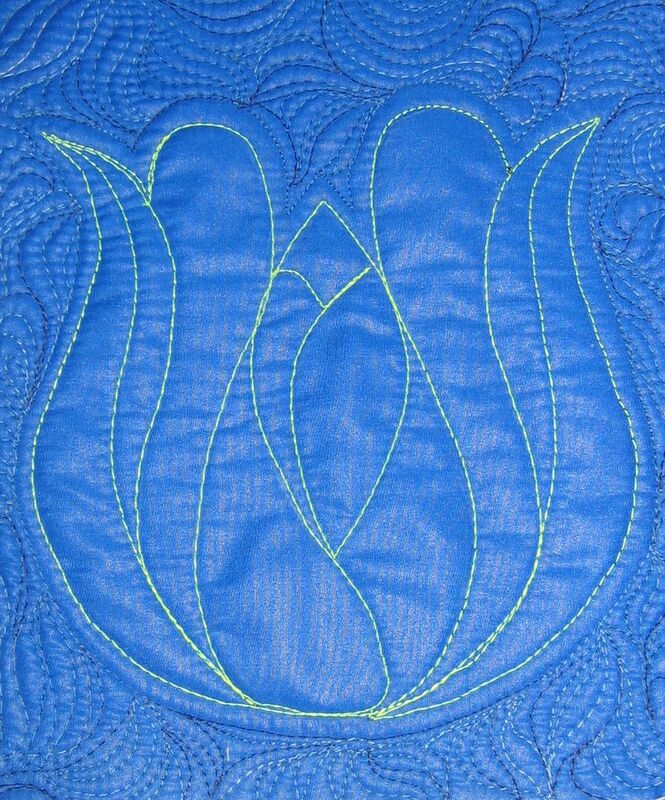 The blue echo stitching in the orange piece was with a 100 wt silk Wonderful thread (col. 716) I got at the quilting workshop in Texas (one of the Vicki Pignatelli thread ranges). No matter what I did, this silk thread shredded and broke quite a bit, so I’d have to play with the tension for it a lot more (and I did play with it a LOT on my Sweet Sixteen) before I used it again. The variegated blue thread I used for the McTavishing around the lime/yellow sample is a Wonderful Tutti Egyptian cotton (col. TU 24). Of all those threads, I’m very impressed with the Mettler, Isacord and Wonderful Tutti threads. They play nicely with my Sweet Sixteen! (as does Superior Rainbows and King Tut). Oh, I also used my ‘Line Tamer’ ruler for the long straight lines in the orange piece (available from http://www.fourpawsquilting.com/pages/template.html; suitable for mid-arm and long-arm quilting machines only, not domestic sewing machines). Thanks for your comments. 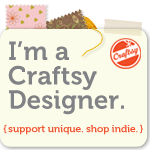 I love Leah Day’s stuff (see https://sandgroper14.wordpress.com/2011/08/01/my-leah-day-project/) and she’s done the quilting community a great service with the information and videos she’s provided for the past few years. However, I haven’t had a chance to tackle her latest wholecloth quilt project as I’ve been super busy with my paid job. I just love it and wonder how I did even lap-size quilts on my domestic sewing machine (a Husqvarna Sapphire 870). The ‘footprint’ for these machines is nowhere near as big as for a long-arm, so I can fit mine into my sewing room (the smallest bedroom in the house). I couldn’t justify the expense of a long-arm for personal work, and an even bigger factor was that I just didn’t have the room short of spending many thousands of dollars converting a large shed on our property (lining, insulating, putting in windows, floor coverings, air conditioning/heating, skylights, proper lighting etc. ).